Rolling out a little geometric magic for you today. Gotta say I've really been on a roll these days with my nail art wanting to try out a bunch of new things. Today I kept things classic and put a slight twist on it. 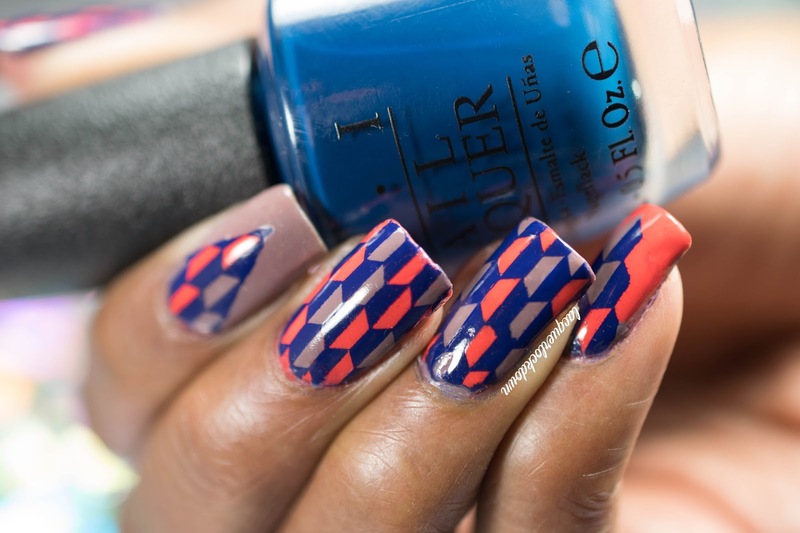 The classic would be the abstract pattern from UberChic Beauty. 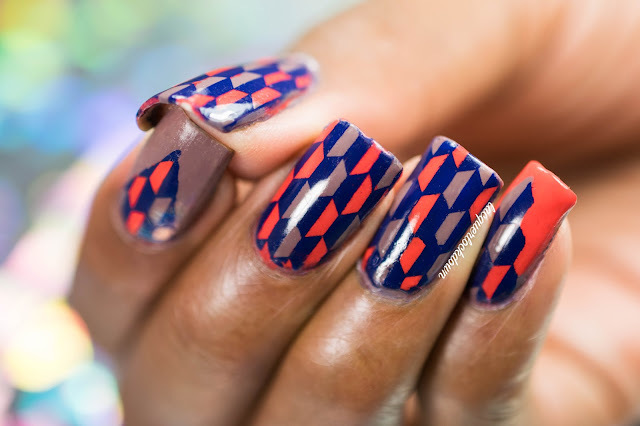 The twist would be using my nail template from Messy Mansion to make some magic happen with that pattern. The colorway I chose also stays true to fall so I hope you like it! 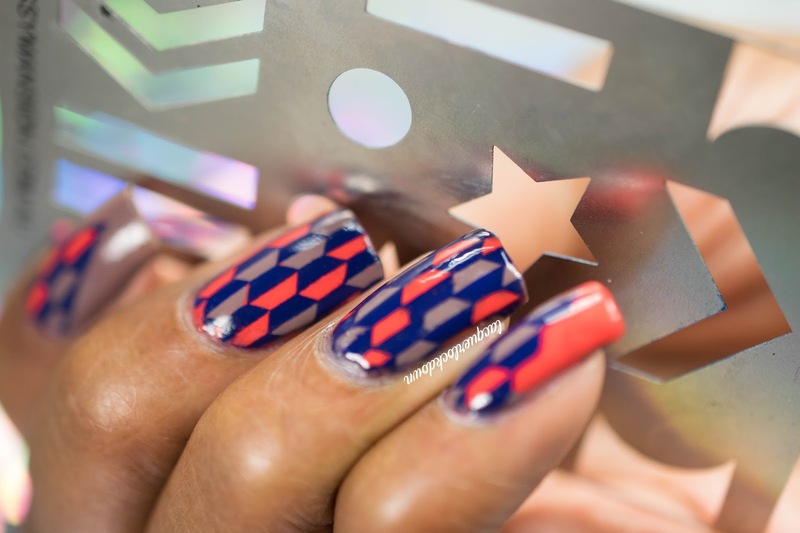 The shapes for the template are varied but include stars in 2 sizes, single and stacked chevrons, straight lines, french tips, and more! These plates are very thin and precisely etched so you get exactly the portion of the image you want with whatever placement you want. Gotta love it! Tutorial! Lol no idea why I'm so excited at all. I did have a lot of fun creating this though so that's definitely part of it. I realized I hadn't created a decal style mani in a bit and even though they are labor intensive the results are definitely worth it.